Every loch in Scotland, however beautiful, has its cold, dark depths. And every loch in Scotland has its kelpie. But it's easy to forget those dangers on a sunny afternoon...' Flora is playing with her brothers and sisters by the loch when she notices a stunning white horse. While her siblings clamour for a chance to ride the beautiful animal, Flora is worried. Where has this strange horse come from? Why are its hoof prints wet? Too late Flora realises this is no horse! 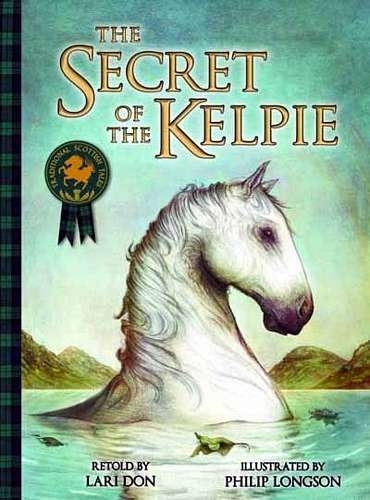 It's a kelpie: a shape-shifting water horse from Scottish folklore known to steal children. Can Flora reveal the secret of the kelpie in time to save her family? The kelpie, once a lesser-known creature of Scottish mythology, is now enjoying legendary status as Andy Scott's magnificent Kelpies statues have become a world-famous tourist attraction. A classic tale, wonderfully retold for 4-7 year olds in this gripping adaptation by renowned Scottish children's author and storyteller Lari Don, with breathtaking illustrations by Philip Longson.